E&I - Educational and Institutional Cooperative Purchasing: In 1934, the National Association of Educational Procurement (NAEP) established a not-for-profit buying cooperative to provide goods and services to members at the best value. Educational and Institutional (E&I) Cooperative Purchasing is membership-owned and provides collaboration and strategic sourcing, including a competitive solicitation process. GW, along with over 2,700 colleges, universities, hospitals, and other educational organizations throughout the U.S., works together to provide the highest quality and cost effective procurement solutions. USCOMM - U.S. Communities Government Purchasing Alliance: U.S. Communities Government Purchasing Alliance (USCOMM) is a government purchasing cooperative that reduces the cost of goods and services for public agencies nationwide. USCOMM demands only the most competitive pricing, ensured by third-party audits and ongoing benchmark analysis. Through this program, GW has access to an extensive line of competitively-solicited contracts with national suppliers. NCPA - National Cooperative Purchasing Alliance: A leading national government purchasing cooperative working to reduce the cost of goods and services by leveraging the purchasing power of public agencies in all 50 states. NCPA utilizes state of the art procurement resources and solutions that result in cooperative purchasing contracts that ensure all public agencies are receiving products and services of the highest quality at the lowest prices. 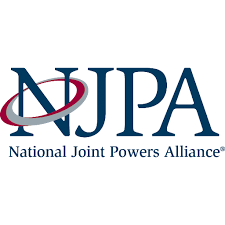 National Joint Powers Alliance (NJPA): The National Joint Powers Alliance (NJPA) is a member-driven service cooperative that offers a variety of contracted products, equipment and service opportunities to education, government and other non-profit entities. As a member, GW has access to many contracted goods and services that have been competitively-selected based on pricing and quality. Virginia Association of State College and University Purchasing Professionals (VASCUPP): To recognize and use effectively the common procurement principals, knowledge, experience, challenges, support and resources of all decentralized higher education member institutions. To be a united group with common goals of addressing the complexities of the Commonwealth of Virginia procurement processes. Through ongoing cooperation and cohesion, better the ability of each individual member institution to effectively provide efficient and responsive customer service in facilitating the purchase of goods and services for their Institution. Support diversified vendor advocacy to enhance the capability of each member institution in seeking open competition for the highest valued products and services.